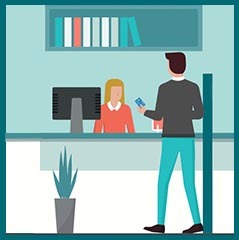 MemberXP, a credit union member experience, measurement platform, has designated Northland as one of 2019’s “best of the best” credit unions. MemberXP awards credit unions that consistently provide exceptional member service. A credit union cannot apply for this award. 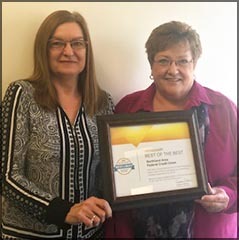 Best of the Best awards are granted based on quality of member service and how easy it is to use the credit union’s services. This program provides a way for us to hear from our members how to improve their credit union experience,” said Pete Dzuris, CEO. “We are delighted that Northland is being recognized and thank our outstanding team for providing exceptional service to our 47,000 members. Northland needs Member Shoppers for our Oscoda, Harrisville, Glennie, Gaylord, and Skidway Lake branches. Here’s how it works: As a member shopper you earn extra cash and help us to improve while you do your banking. Mystery shopping is easy. You are already evaluating the service you receive each time you visit a branch. As a Member Shopper you tell us about your experience so that we can reward Northland employees who are doing a great job and also so that we can make improvements to serve you even better. 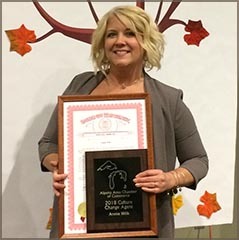 Annie Wilk, Northland’s Assistant Vice President of Human Resources won the 2018 Culture Change Agent Award from the Alpena Chamber of Commerce. “Annie is never afraid to try new things; because of her efforts NAFCU has benefited in a reduction of employee turnover” Said Kristine Brenner, CFO of NAFCU. Annie and her staff helped implement a training program that addressed very important topics within the organization, including; team Building, Adapting to Change, Building Effective Teams, Managing Conflict, Championing Change, Creating a High Engagement Workplace, and Managing People to Perform. The results are positive communication from within the credit union, which extends to our members and into the community. Northland celebrated Tracey Toppa on her retirement Thursday, January 31, 2019. 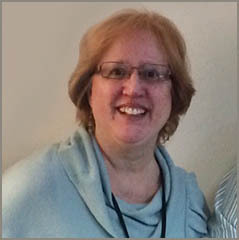 Tracey began her career at NAFCU in Oscoda in 2006. She advanced to the Mortgage Department and completed her employment at Northland on Thursday, as a Lending Specialist III. We wish Tracey the best of luck and enjoyment in this new chapter of her life and we thank her for the many contributions she has made to Northland Area Federal Credit Union. Our commitment to financial education begins with our members. Northland is honored to recognize those who plan, study, and sacrifice to earn college degrees. Each year, Northland awards the Jerry Erickson Education Scholarships to exceptional student members who are in pursuit of higher education. This year, up to $10,000.00 will be awarded. 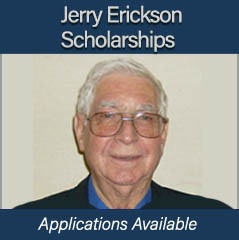 The 2019 Jerry Erickson Education Scholarship application process is now closed. Winners will be contacted. Announcements will be made at school award nights, through our website, social media and branches. 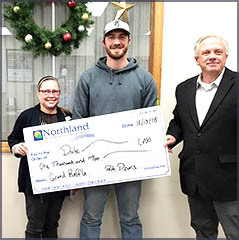 Northland member Dale Boudrie purchased a winning Grand Raffle ticket at our Houghton Lake branch in October. Boudrie’s 3rd place prize ticket scored him a check for $1,000. Heather Dowland, Member Service Representative III at Houghton Lake, sold Boudrie his winning raffle ticket. She received $100 for her part in the Grand Raffle fundraising effort. The Grand Raffle is administered by the MCUL & Affiliates Government Affairs staff and proceeds benefit the MCUL Federal PAC. This PAC helps credit unions to have a voice in Washington by educating and supporting candidates who support the credit union movement to help non-profit credit unions remain tax-exempt and allow them to provide good rates with low costs. 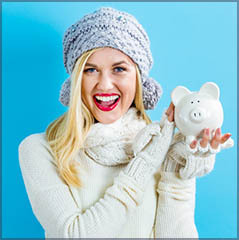 Beginning January 1, 2019, you will be able to open a higher interest earning money market account with a lower minimum deposit. After the New Year, the minimum required to open a Northland Money Market will go down from $10K to $5K. The tier structure will be updated and each of the higher tiers will feature lower minimums.